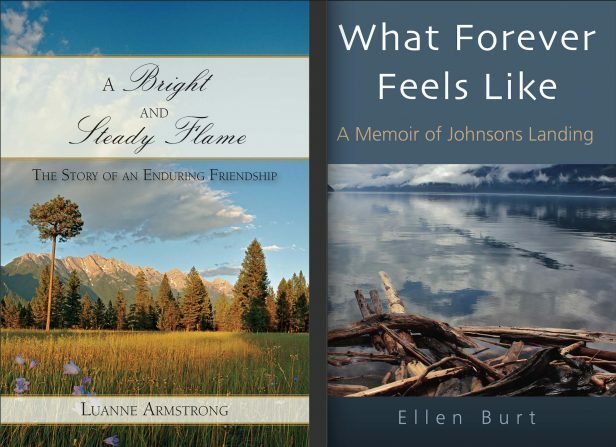 Join Kootenay writers Luanne Armstrong and Ellen Burt at Oxygen Art Centre to celebrate the launch of two books, A Bright and Steady Flame: The Story of an Enduring Friendship, by Luanne Armstrong, and What Forever Feels Like: A Memoir of Johnson’s Landing by Ellen Burt. Luanne Armstrong has written twenty-one books. She writes young adult books, fiction, nonfiction and poetry. She has contributed to many anthologies and edited a Canadian non-fiction anthology called Slice Me Some Truth. Luanne presently lives on her hundred-year-old family farm on Kootenay Lake. She mentors many emerging writers all over the world and in the last three years, has edited eight books through to publication. Her new book, A Bright and Steady Flame: The Story of an Enduring Friendship, was published by Caitlin Press in October, 2018. She is deeply interested in researching the history of Kootenay Lake people and places. Both of these memoirs offer deep insights into the nature of small communities and the history and development of such communities on Kootenay Lake. Ellen’s book offers colorful and nostalgic stories about Johnson’s Landing. 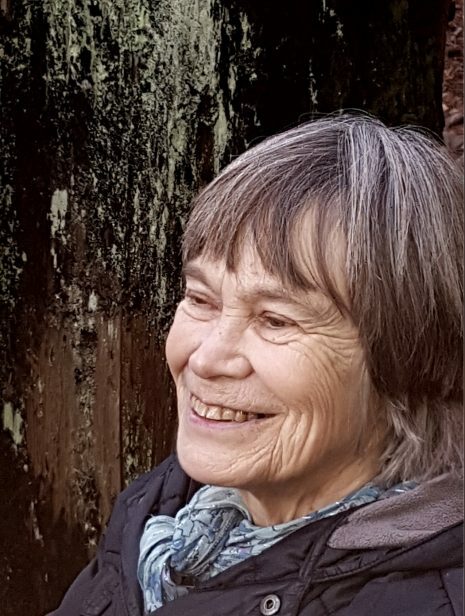 Luanne’s book weaves together many stories set in the Kootenays over the seventies and eighties; while the core of her book is about the strength and endurance of women’s friendships. 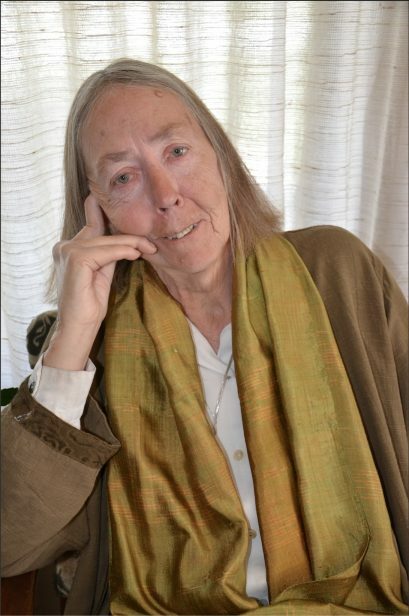 Luanne taught writing classes for many years at Oxygen Art Centre, and over the years, mentored many writers from all over the Kootenays. Ellen is a very committed member of Spoken Word in Nelson. Both writers will be in attendance and look forward to seeing you there.